The use of mercury in commercial skin bleaching creams and soaps goes back to the early 1900s. 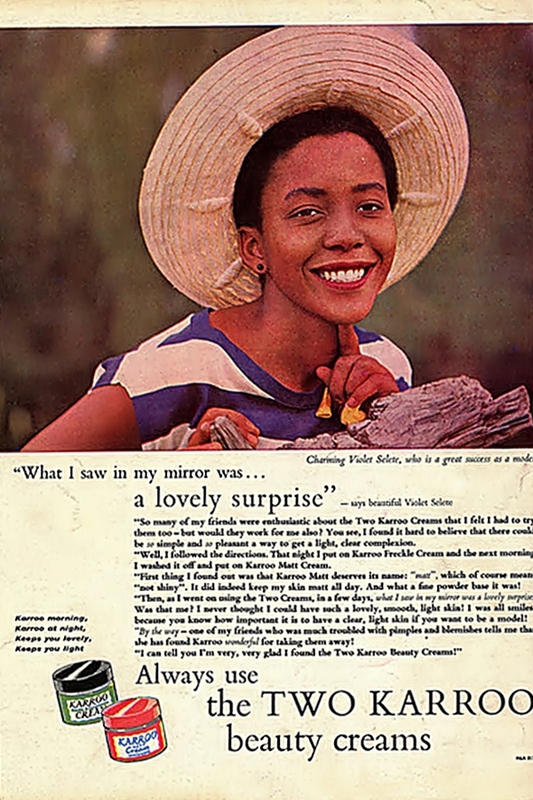 Before 1970, commercial bleaching creams would normally use ammoniated mercury to produce a lightening effect on the skin. 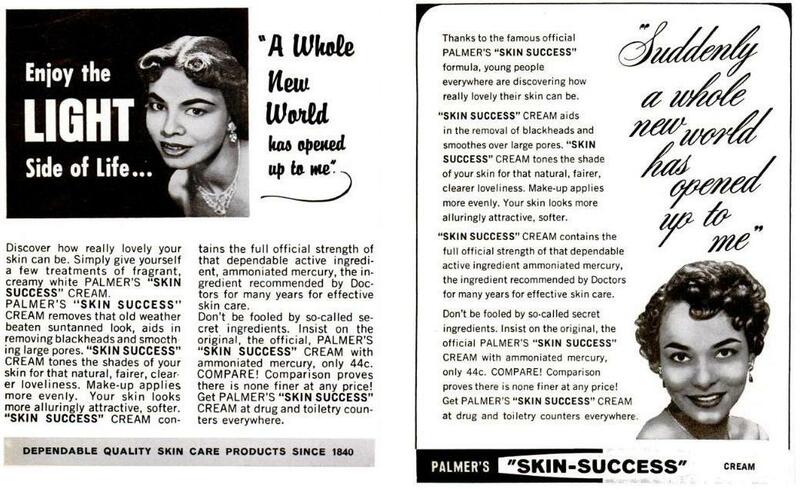 These bleaching creams were aggressively marketed to black people in the US. In 1976, the use of mercury in cosmetic products was banned in the EU. 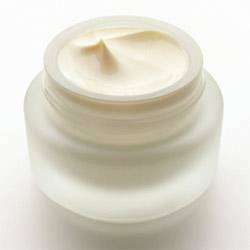 The US banned the use of mercury in skin bleaching creams much later in 1990. Mercury and mercurial compounds can be absorbed into the body by inhalation of the vapors, ingestion, or skin contact. As a poison, the damaging effects of mercury are subtle and cumulative, building up over time. When absorbed, mercury has been discovered in blood, urine, bile, sweat, saliva, milk, and in pus on the surface of ulcers. It has also been discovered in the solids after death, in the brain, the bones, the cellular tissue, in serous membranes, in the parts close to the joints, and in the lungs and liver. Mercury can be extremely effective in lightening dark spots and stubborn pigmentation but has a high spontaneous remission rate (in a number of people, the original pigmentation returns once the treatment is stopped). Excess mercury in the system has also been known to cause kidney problems (membranous nephropathy), tremors and muscle spasms. Before mercury was discovered to be toxic, it was extensively prescribed as a medical treatment for various conditions such as jaundice, smallpox, syphilis, gonorrhea, venereal diseases and vitiligo.